This is one I have been hunting down for quite awhile! 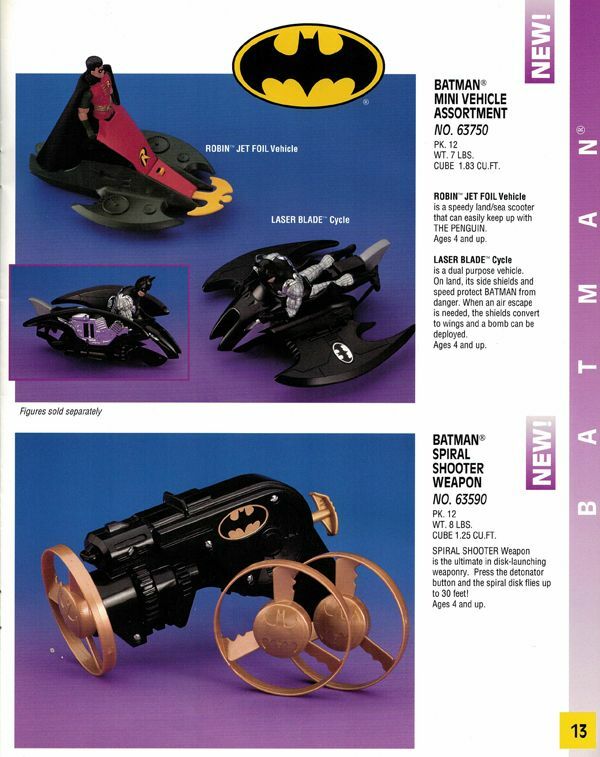 Nestled right between the end of Kenner's Dark Knight Collection and the beginning of the Batman Returns line sits this internal Kenner Spring 1992 catalog. 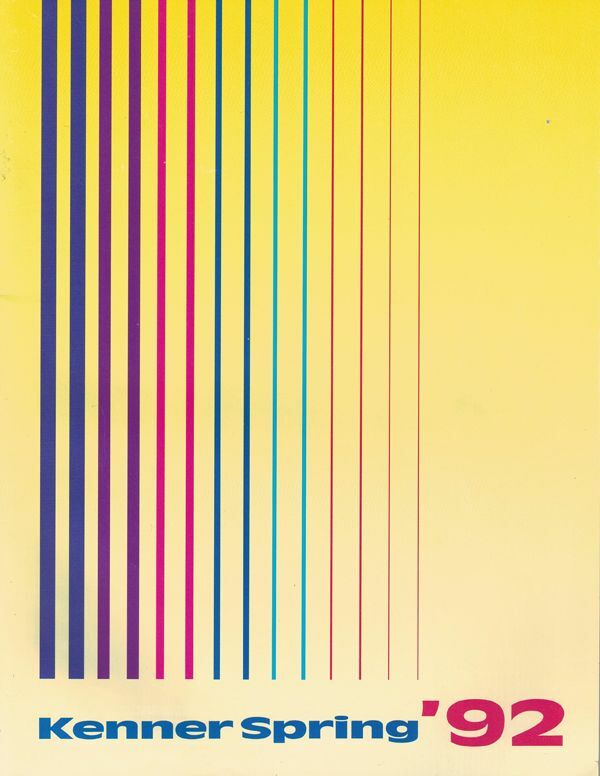 Much smaller than their full-blown Toy Fair catalogs, these catalogs served as intermittent updates to Kenner's lines with only a few pages dedicated to new products for each property. 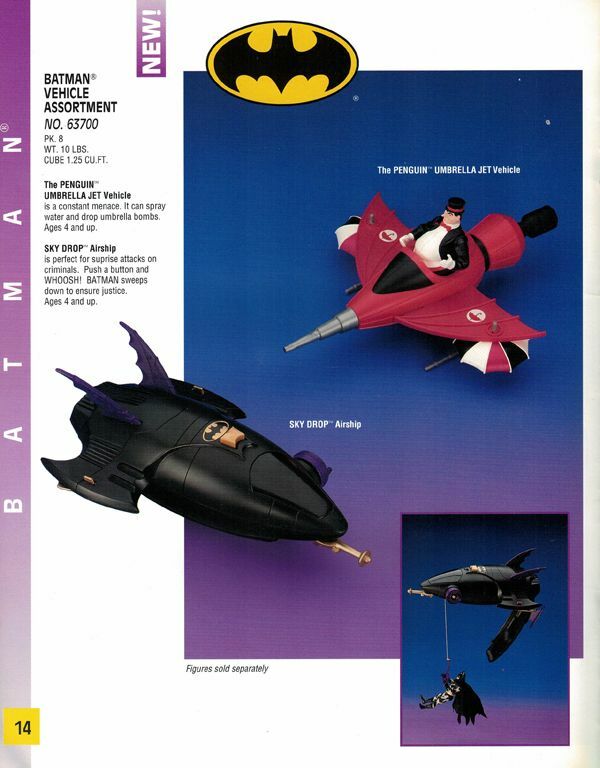 In the case of Batman, we get a 4-page peak into what would have been the final line of Dark Knight Collection items that were then transformed into the opening waves of the Batman Returns line. 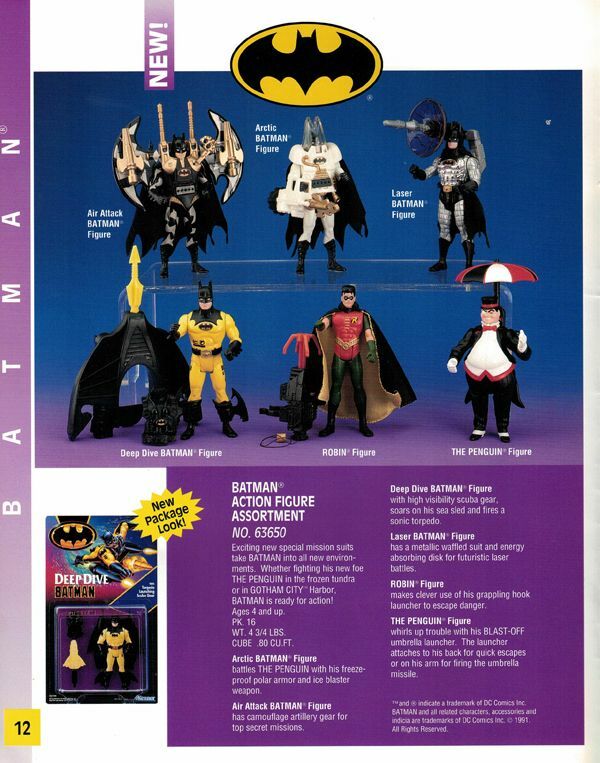 Robin's planned inclusion as part of the Dark Knight Collection adds even more weight to my longstanding assertion that the Kenner Robin figure was in no way initially based on Marlon Wayans. The repainted Super Powers Penguin being planned at this point also helps explain more why his figure ended up looking nothing like DeVito when released in the Batman Returns line. Oh... and it is super cool to see that unused Dark Knight Collection. Batman Returns hybrid style cardback! Enjoy! Though this may not be of interest to many of you... For those that have been with the page for a LONG time- My second son Keaton hit 11 this year.... Which means it was time to show him Batman '89! Here is a quick video from yesterday recounting the experience. Thanks! 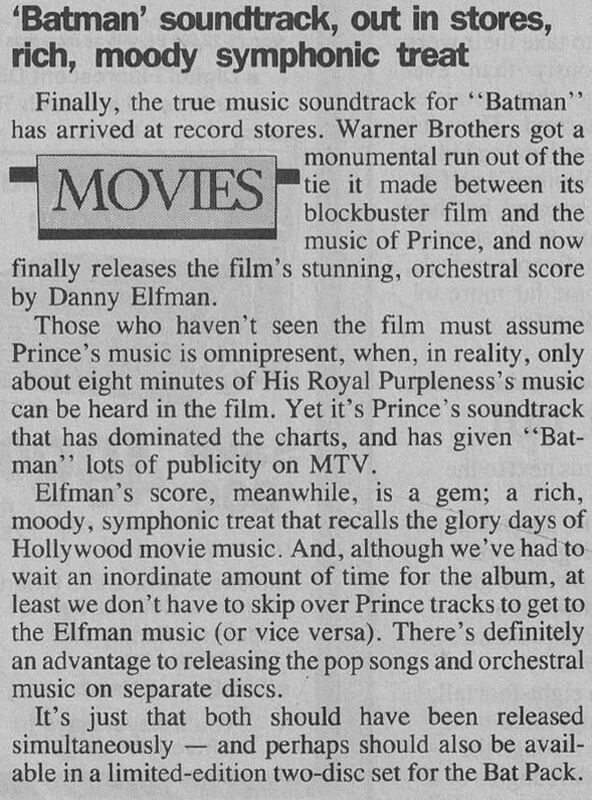 A segment from the June 22, 1989 edition of Entertainment Tonight featuring an interview with Kim Basinger. The very next day, Batman would hit theaters nationwide... What a time to be alive this was! For years, I have ran all of these sites out of my own pocket- Registration fees, hosting fees, content fees- I have covered them all without resorting to ads or fundraising. I want the sites to be a fully engaging experience, free from pop-ups and the feeling that I am profiting from your enjoyment in some way. Photobucket is seeking to change this. 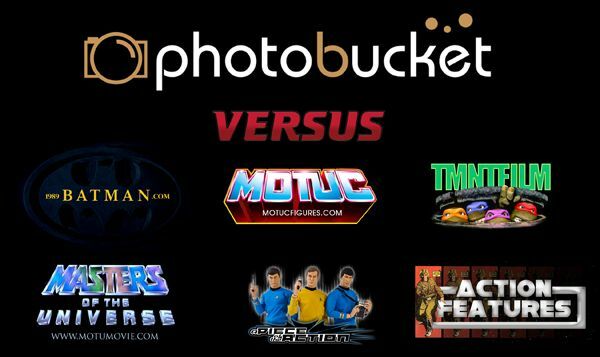 I started with Photobucket years ago when it was the "big" photo hosting site. I needed a place to host all of the photo content for the different blogs, and at the time Photobucket was the best option for this. Still, I have never been a freeloader account- I have paid them a monthly fee for years in order to handle the bandwith for all my sites (the biggest one being 1989Batman.com). With over 15000 photos stored there, a paid account was the right thing to do. ...But yesterday they sent me an e-mail letting me know my plan was going away, and the only option that now works for me is paying $400 for another year of service. Or I have 30 days to go elsewhere (but of course they won't let me just download the photos I have stored there). That leaves me with 3 options. 1.) Find all my original files, re-upload them somewhere else, then update every single post at multiple sites in 30 days. 2.) Just throw in the towel and shut all the sites down. 3.) Pay the $400 and buy myself a year to do option 1. None of those are great. None are what I want to do. I honestly am not sure what I am going to do at this point. I highly doubt I would have the time to devote to doing such a huge task of transferring services in the next 30 days, so I would be looking at downtime for the sites until I have time to do this work... and I have a feeling once they are down, the motivation for me to get them back up will slack off (life has a way of keeping you busy). I guess the $400 option is the best one for the life of the sites, as a year is probably enough time to get them all updated seamlessly. But man... $400 a month before Christmas hurts. A lot. So I posted this message at a few of my Facebook fan pages... and some folks suggested I look toward crowdfunding to offset the cost. Now I really dislike doing this... but with the only option being major downtime for the sites, I am asking that anyone who has enjoyed the sites and has the extra funds that they wish to donate, please do so. If you don't, that is fine too. I won't just let the sites die regardless. It may just be that they have to go away for awhile. The goal I am setting for this is enough to cover the photobucket fee to keep the sites as-is for a year (plus a little extra to hopefully cover all the fees GoFundMe will take). This will hopefully buy me enough time to get through the arduous task of migrating all the photos (if photobucket frees them up) to a new hosting site and updating all the posts. If for some reason that does not work... Well, at least this will buy one more year of life for all that exisitng content.